My Thoughts: This is a special one! It's woolly, rustic, crunchy, dry, lofty, and unprocessed. I know I'm particularly delighted that I got to visit the farm and see the sheep and the farmer (and eat blueberry cake in the farmhouse! ), but even without those things, I really enjoyed knitting with it. 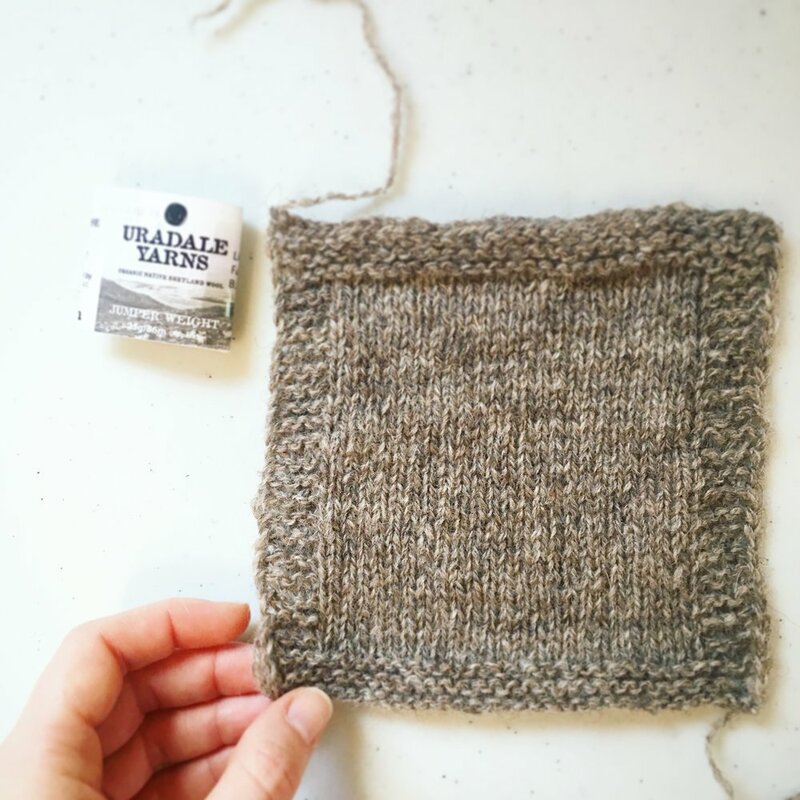 It's Shetland wool, so its strengths are in its warmth, lightness, and durability. 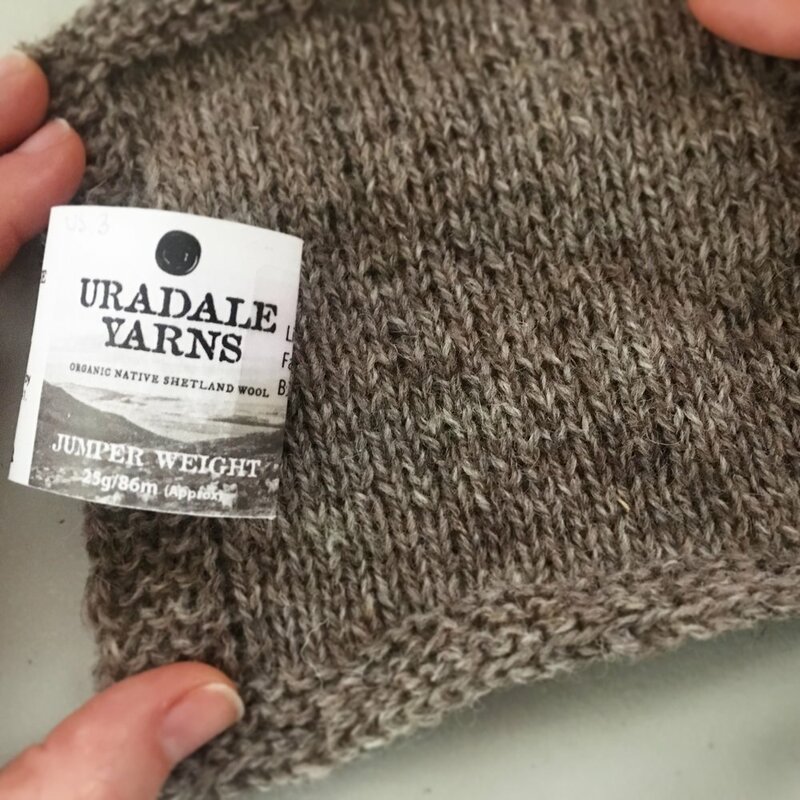 It's not buttery soft like Merino, but it's perfect for outerwear, mitts, and hats. 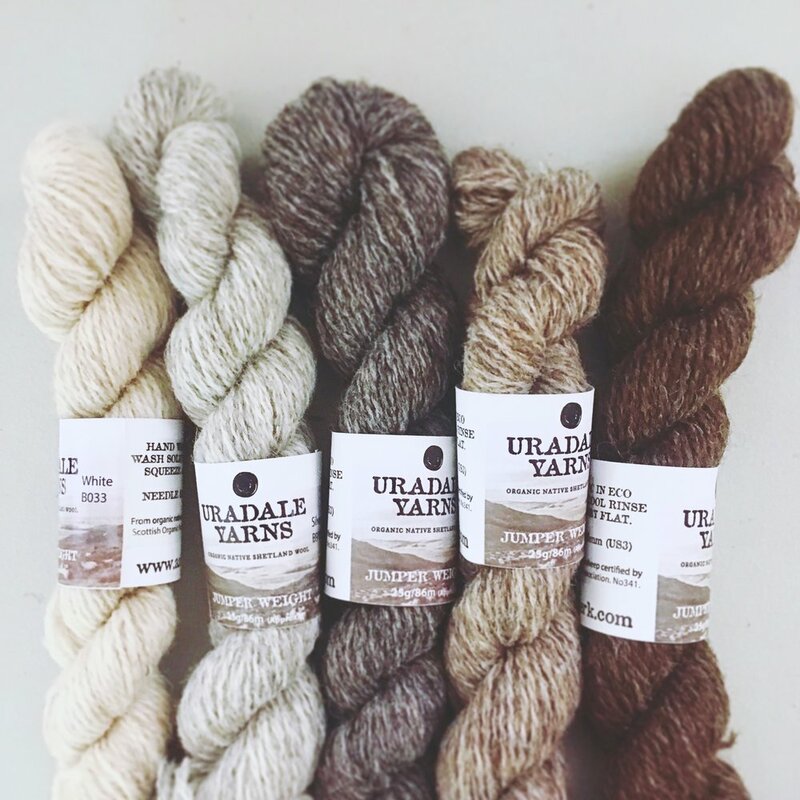 I bought the kit to make a vest and four skeins in two different colors from the farm, so I'll definitely be designing in it. What I might design with it: I'd love a matching hat/mitts set, hopefully with some colorwork. Where you can get some: You can buy it direct from Uradale on their website.